A huge range of flooring solutions with great online prices & FREE delivery on all orders. Try www.caistercarpetsnflooring.co.uk and get your perfect floor. 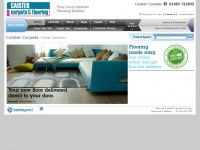 The web server used by Caistercarpetsnflooring.co.uk is located in Great Britain and run by BT. On this web server 11 other websites are hosted. The language of those websites is mostly english. The Caistercarpetsnflooring.co.uk websites were developed using the programming language ASP.NET and served by a Microsoft-IIS server. For managing the data of the webpages the CMS DotNetNuke is used. XHTML 1.0 Transitional is used as markup language on the webpages. The website does not specify details about the inclusion of its content in search engines. For this reason the content will be included by search engines.